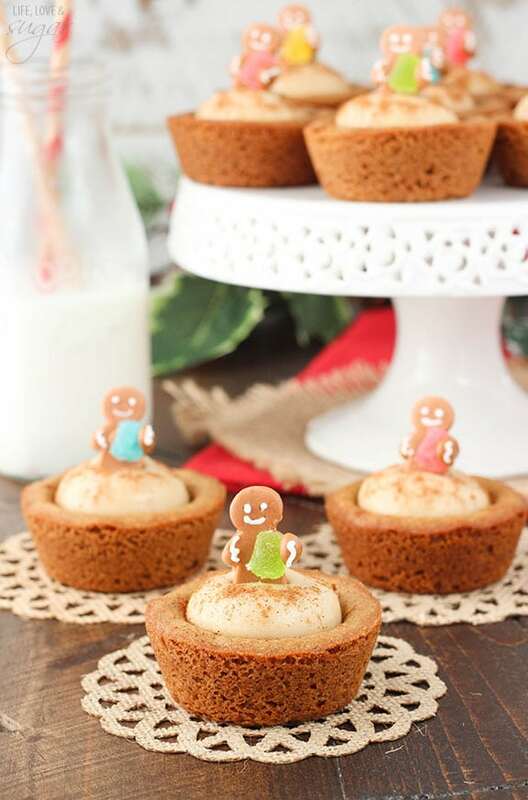 These Gingerbread Cheesecake Cookie Cups are the perfect way to start off Christmas flavors on the blog! I hope it’s not too early, because I’ve been dying to share these with you. 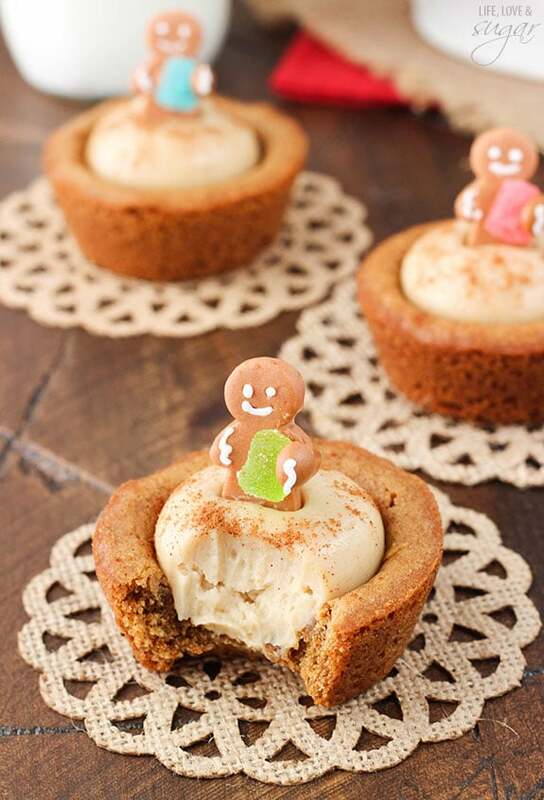 A soft, chewy gingerbread cookie cup is filled with a brown sugar spiced no bake cheesecake. So good! So yesterday was our sweet Jessie’s 5th birthday. For those who don’t know, she’s a black lab. 🙂 To celebrate her birthday she got extra long walks, a big bone and a couple baked doggie treats. I figure the walks were needed to offset the treats. She wasn’t a huge fan of getting her picture taken before she could dig in to the treats, but she managed. She’s pretty much always hanging out in the kitchen with me while I’m baking. Usually drooling. Then when I take pictures, she’s hanging out there too, waiting for something to fall. I usually let her lick a plate. A while back, I made her some dog treats and now they’re in regular rotation. 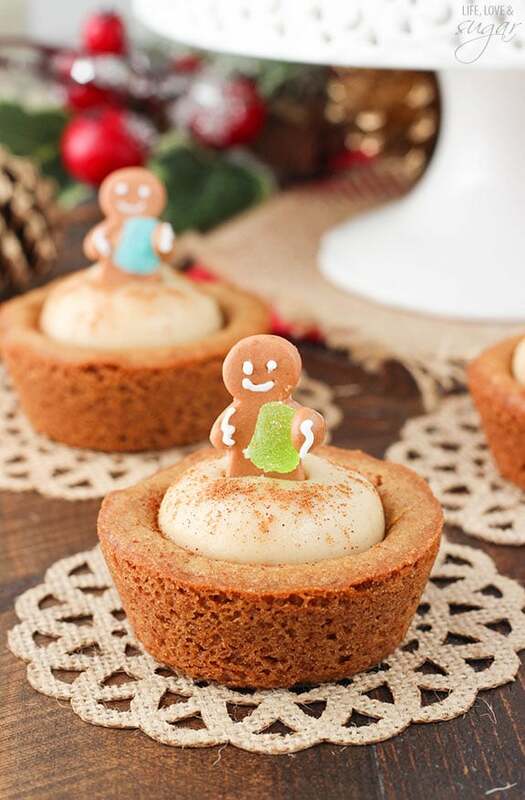 These cookie cups are super fun for Christmas – and nice and easy to make. 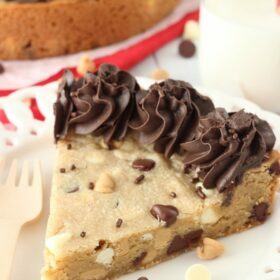 The cookie dough should be refrigerated for about 30 minutes after making to make it a little easier to work with. Once the cookie dough is ready, make balls of about 2 tablespoons in size, shape them into a ball, and then press into the bottom and up the sides of a cupcake pan. I press a little indent into the center of the cookie. While the cookie bakes, the indent will fill in a bit but I’ll use the bottom side of a measuring tablespoon to lightly press the center back down. The cookie might look a little undercooked, but it will continue cooking and firm up while it cools. Allow the cookies to cool and firm for about 10 minutes before taking them out of the pan. 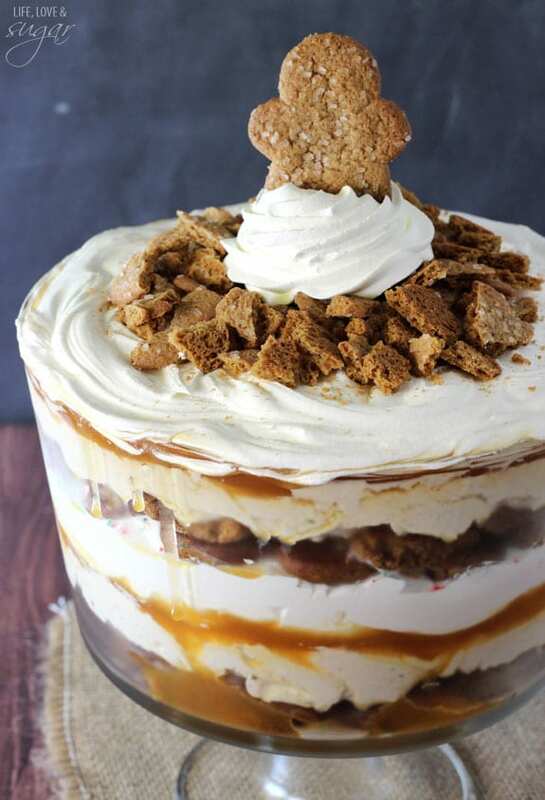 Once the cookies are cooled, mix together the ingredients for the no bake cheesecake. 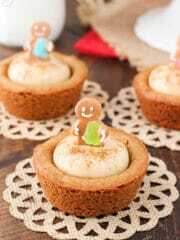 It’s flavored with brown sugar, cinnamon and some ginger and is such a great compliment to the gingerbread cookie. 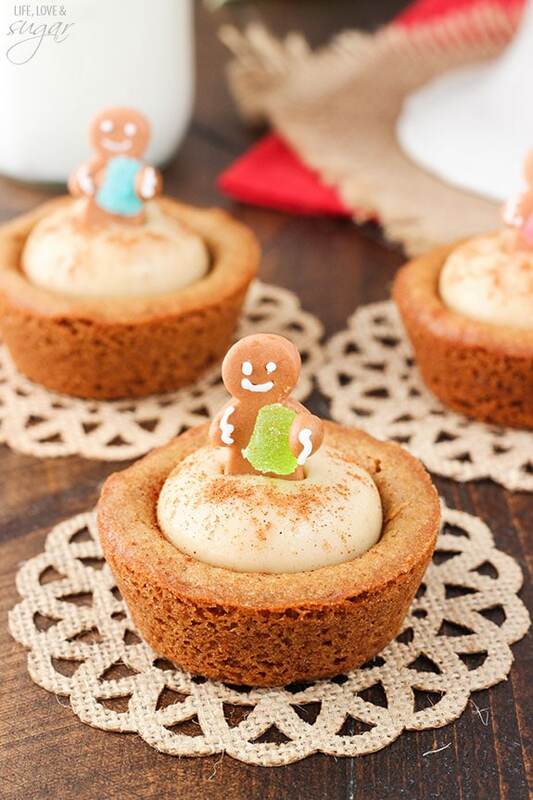 A soft, chewy gingerbread cookie cup filled with a brown sugar spiced no bake cheesecake. 3. Add the egg and molasses and beat until well combined. 4. Combine the dry ingredients in a separate bowl, then add the dry ingredients to the wet ingredients and mix until smooth. Refrigerate dough for about 30 minutes. 5. Make balls of about 2 tbsp of cookie dough. 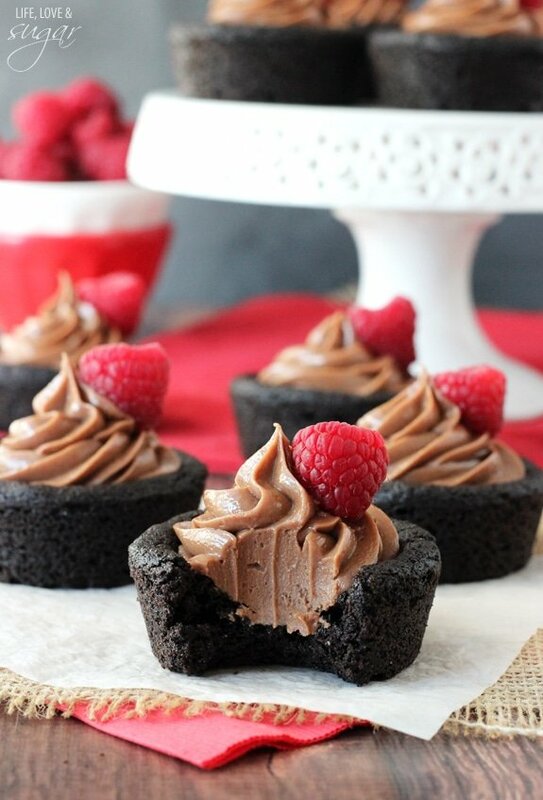 Press cookie dough into the bottom and about 1/2 way up the sides of each cupcake cup, forming a cup shape. 7. Remove from oven and allow to cool for about 10 minutes. Use the bottom side of a measuring tablespoon to press in the cups of the cookie if needed. Remove to cooling rack to finish cooling. 8. Once cookies have cooled, make the cheesecake filling. Blend the cream cheese, powdered sugar, brown sugar, cinnamon and ginger together until smooth. 10. Store in refrigerator until ready to serve. 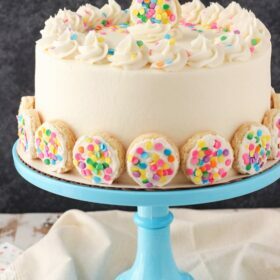 OMG these are sooo adorable and that filling sounds delicious, I would eat probably lick the bowl after I’m done making them. These are beautiful. 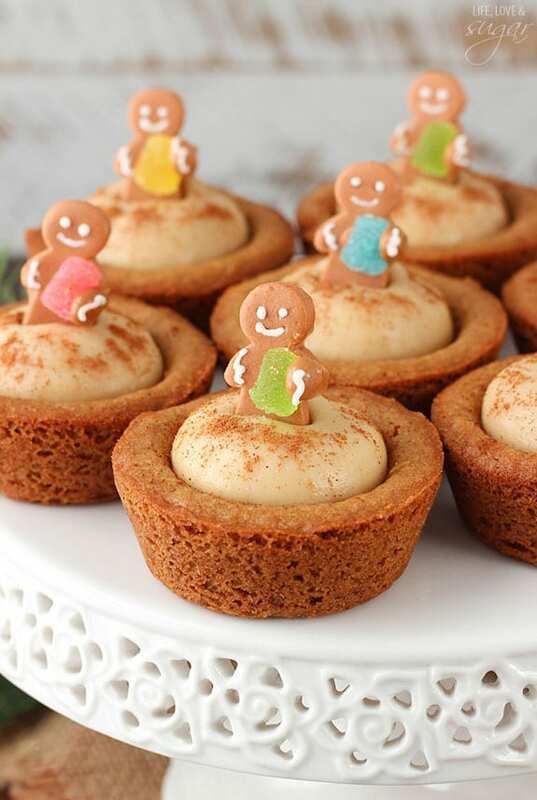 Did you make or buy the little gingerbread man decoration? Thanks Darlene! I bought them. They are wilton toppers. 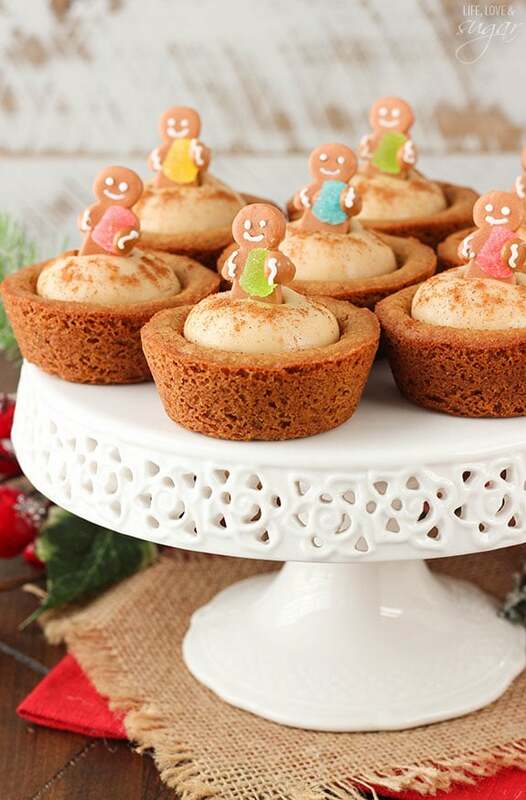 Those little gingerbread cuties on top are just ridiculously precious. The look so happy standing on top of all that happy cheesecake! 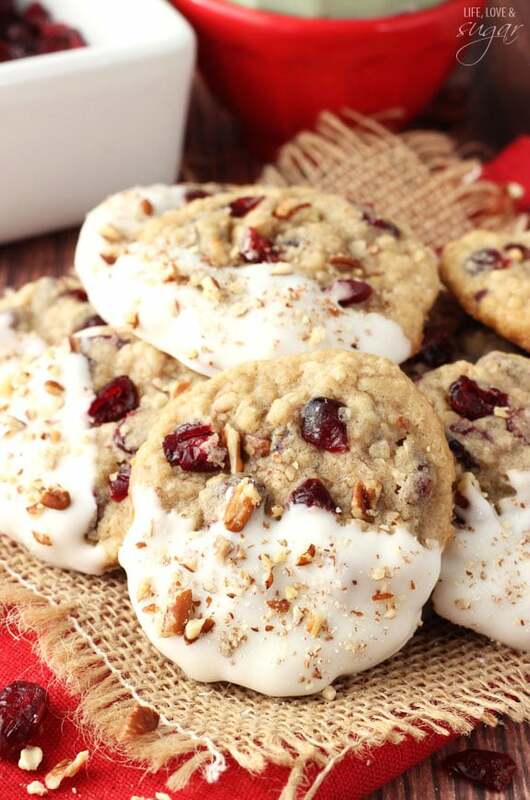 What a fantastic way to start the holiday dessert cookie season! Can you make ahead and freeze these? 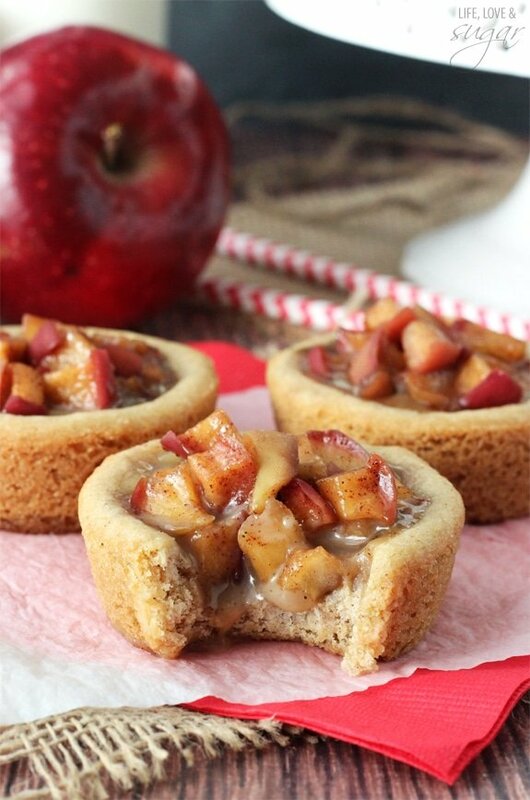 These cookie cups are perfect for all of the holiday parties coming up! Well, I found my next baking project. Quick question though, did you use salted or unsalted butter? 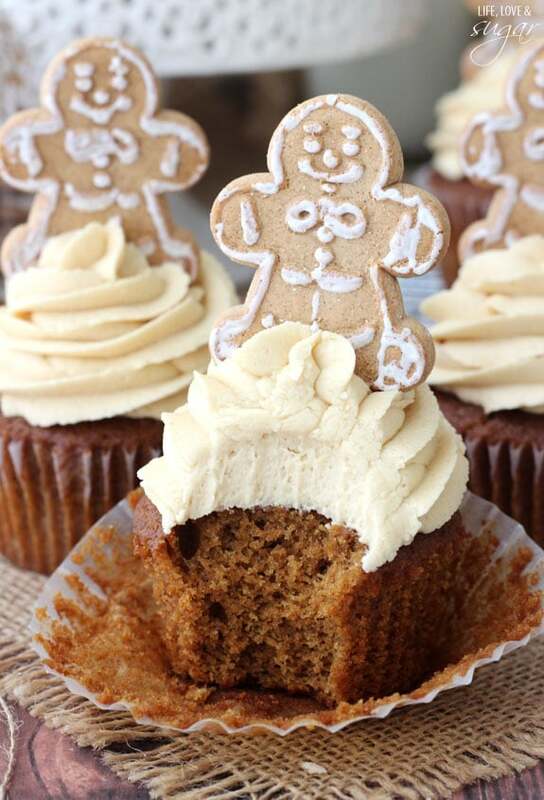 Where did the tiny gingerbread come from? Did you make them? Recipe sounds delicious! Late to the party but did you use a regular or mini cupcake pan?